The Savannah, Georgia area is just teeming with great opportunities for you and your friends or family to get out on the water! From deep sea and inshore fishing charters, to boat and jet ski rentals at one of the area’s many full service marina locations, Georgia’s charming coastal city can help you and your family get there. 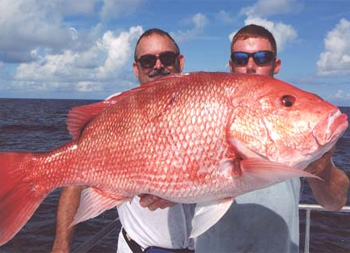 Amick's Deep Sea Fishing prides itself on providing clients with a first class fishing service. We are committed to making your fishing trip safe, exciting, enjoyable and productive. Coastal River Charters is Savannah’s premier inshore and nearshore fishing and sightseeing service (U.S.C.G. licensed and insured). Let us take you to places only accessible by water, places few visitors to Tybee ever see. Take a ride and see the remote islands just south of Tybee. Custom boat charters for fly fishing and exploring! Inshore, Light Tackle Fishing & Custom Backwater Excursions. We offer the finest in offshore and inshore fishing charters, reports by Captain Judy, and pictures of the many fish we catch here in Coastal Savannah Georgia. The coast of Tybee Island is well known for its calm sea conditions and excellent year round fishing. We are located just 15 minutes from historical downtown. We specialize in light tackle inshore fishing , marsh hen hunts, personal dolphin cruises, and transportation to and from Daufuskie Island. Scales and Tails Savannah GA inshore fishing charters with Captains Charlie Warren and David Reddick, fishing in the coastal lowcountry area. Standard Bay Charters in Savannah, GA offers boat tours and inshore fishing. We also have sunset cruises, dolphin watching, ecotours and nature cruises.